I’m not a parent, and it’s highly unlikely I ever will be (though I am a very proud uncle). So I can’t really claim to understand the trials and tribulations of a newborn baby from conception to when it emerges from the womb and takes its first breath. Having said that, lately I’ve been going through conception and development pains of my own: the launch of a new food brand. My OWN food brand. Man Food was born out of a casual remark by my partner. Over lunch one day, he complained how hard it was to find a decent piccalilli. In his opinion, all the ones he had tried were spreadable wet mush. I said I would make him one. Roll forward a few weeks and over lunch again, I brought out my my first jar of homemade piccalilli. He cracked it open and tried it. Roll forward another 6 months and here we are: I’m in a photo studio having pictures of the four products that I developed photographed. 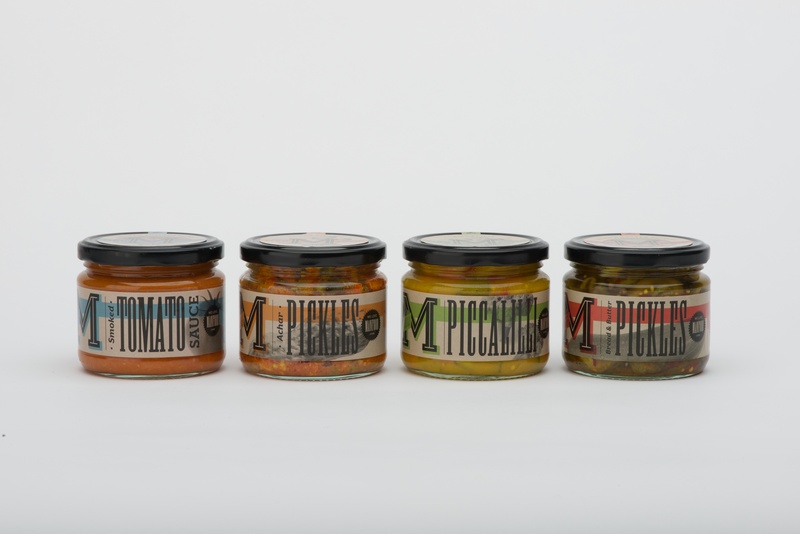 Piccalilli – chunky vegetables in a cider vinegar and mustard sauce. Achar – a Malaysian chilli vegetable pickle based on my own mother’s recipe. Smoked tomato sauce – home smoked tomatoes slow cooked with a hint of chilli, shallots, onions and garlic to form a spooning sauce. Bread & Butter pickles – sliced cucumbers in a sweet and sour marinade with Asian seasonings. And yes, I’m very proud. The website is now live – http://www.welovemanfood.com.